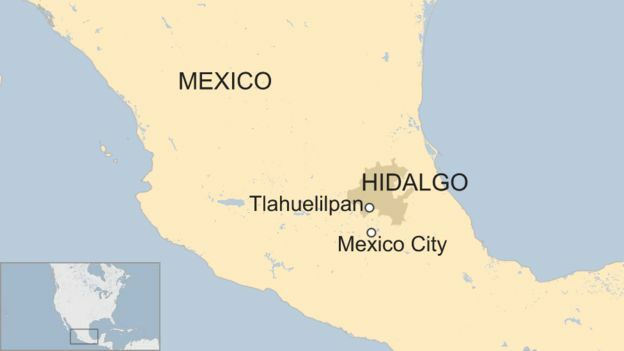 (from France24.com) – A massive fire broke out at an illegal pipeline tap in central Mexico on Friday, killing at least 79 people and injuring 74 more, just as the government wages a major crack-down on fuel theft. The tragedy came just three weeks after newly inaugurated President Lopez Obrador launched an offensive against fuel theft gangs drilling dangerous, illegal taps into pipelines an astounding 12,581 times in the first 10 months of 2018, an average of about 42 per day. The problem has cost Mexico an estimated $3 billion in 2017. 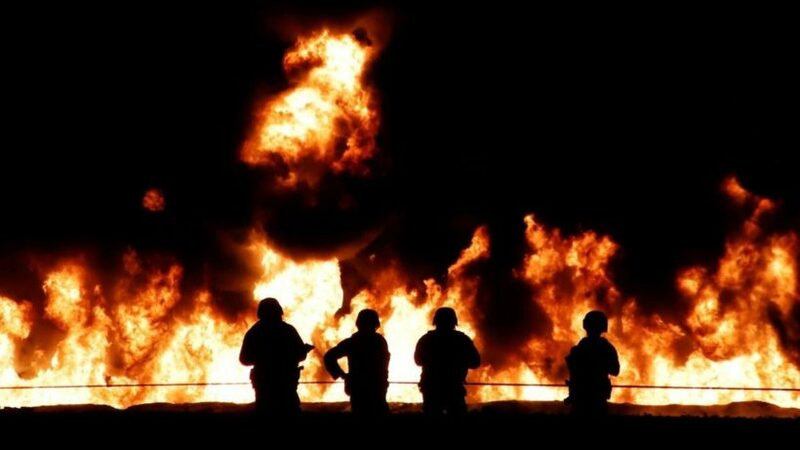 Federal and state firefighters and ambulances run by state-owned oil company Pemex rushed to help victims with burns and take the wounded to hospitals. Security Minister Alfonso Durazo said around midnight that the fire had been brought under control. b) b) What were so many people doing near the leaking pipeline? c) What had newly elected President Lopez Obrador just begun doing in regard to fuel theft from the government-owned gas company? d) Read the “Background” below. What is one of the unintended consequences of President Lopez Obrador’s plan to fight fuel theft?